Web-based systems are software systems with a Web interface. In recent years it has successfully penetrated into our everyday life. 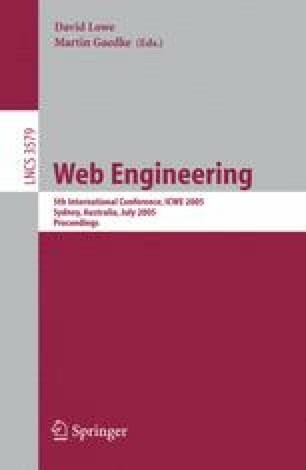 Development of such systems has also opened a new area in software engineering: Web engineering. Many studies found that Web development often experiences much shorter cycle time than traditional software development. It conflicts with some non-functional requirements, such as system reliability. When they can not be simultaneously satisfied, trade-off decisions must be made. Such decisions are typically difficult in software development due to the complexity and uncertainty of the development process. They are usually decided in an ad hoc manner. The purpose of this paper is to propose a new methodology for conducting trade-off analysis. Bayesian Belief Networks (BBNs) is used to offer this opportunity. By capturing and modelling the cause-effect relationships between time and reliability in BBN models, it provides a systematic way for doing comprehensive trade-off analysis throughout the whole development process.